If you haven’t tried making your own hummus at home, you’re missing out. It’s not only budget-friendly but it is delicious as well. 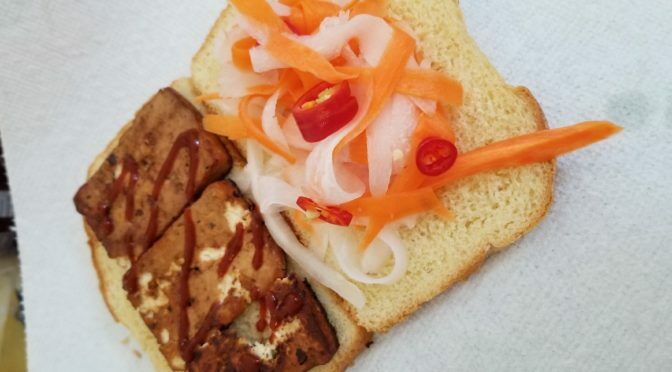 Another easy vegetarian recipe that you can make. 1/4 cup Parmesan cheese, or more, if desried. Combine 2 eggs and 1 tablespoon water in a bowl. Combine panko and 1/4 cup Parmesan cheese in a plate. Dip eggplant in egg mixture then dredge in panko mixture; shake off excess. Place eggplant 1 inch apart on baking sheets coated with oil. Bake at 375F for 30 minutes or until golden, 15 minutes each side. Coat bottom of glass baking dish with pasta sauce. Top with about 3/4 cup pasta sauce. Top with a third of mozzarella and 1/4 cup fontina. Repeat layers, ending with about 1 cup pasta sauce. Bake at 375F for 35 minutes. Remoce foil and top with remaining third of mozzarella and 1/4 cup fontina. Bake at 375F for 10 minutes or until sauce is bubbly and cheese melts.